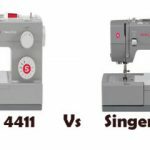 Singer P-1250 will be a perfect foil for those who can’t afford an industrial sewing machine. However the machine has some slight drawbacks as well. 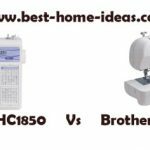 P-1250 is a sewing machine designed exclusively for professionals who want to sew heavy duty fabrics without spending thousands of dollars on an industrial sewing machine. The machine pretty much looks like the good old vintage machines from Singer. To sew heavy duty fabrics like denim, P-1250 is equipped with a very powerful motor. 1250 in the model number indicates the number of stitches it can sew in a minute. Now, this is 15% faster than other heavy duty models from Singer. Flat bed design with suction cup base basically gives you the freedom to sew at the maximum possible speed. The stainless steel bed plate is slightly larger than what you see on regular sewing machines. This will ensure smooth and consistent feeding. Another unique thing about Singer P-1250 is the material used for its frame. In regular sewing machines we are used to heavy duty metal frames, but this machine comes with a duratec frame. Duratec is a combination of high-strength resin, rugged glass fibers, and selected mineral compounds. This alloy like composition has better characteristics than aluminum. Duratec has better durability for sure. So expect this machine to last longer than your usual sewing machine. 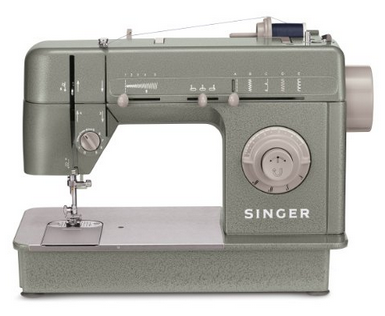 Singer P-1250 has 6 built-in stitches on board. The stitches are Straight, ZigZag, Blind Hem, Multi-Stitch ZigZag, Stretch Blind Hem and a 4-Step Buttonhole. The presence of 4-step buttonhole clearly suggests that Singer hasn’t done too much to make it beginner friendly. Beginners always love 1-step buttonhole which is much easier to use, I don’t know why Singer decided against it (may be their intend is to target professionals only, which is evident from the letter P in the model number). Even then, one good thing Singer did was that they included a top drop-in bobbin. A top drop-in bobbin is a huge blessing as you don’t need to remove any side cover or something to change the bobbin. 3 needle positions are available on this machine, which can be adjusted using a knob. 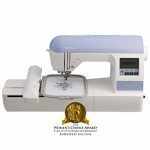 Singer P-1250 is a semi-industrial sewing machine and it caters to a specific set of users who want to sew heavy duty fabrics. By heavy duty fabrics, I mean denim most of the time. It is definitely not a machine for hard leather, for that you will have to rely on an industrial sewing machine (I don’t think even Singer will project the machine that way, their focus is denim at least for this machine). This machine is definitely better than CG590 Heavy Duty, which to me is a very incapable sewing machine. Singer P-1250 is powerful and it runs smoothly through several layers of denim. I have tested the machine with up to 12 layers of denim and it was smooth and perfect. The machine doesn’t seem to struggle at all. The feed mechanism lives up to the expectations. A 1-step buttonhole stitch would have been great. Even though Singer P-1250 comes with a top drop-in bobbin, there is no clear cover for it. So you need to remove the cover to have a look at the bobbin thread supply. The threading is the same as threading an old Singer machine, there is no automatic needle threader to help you out. 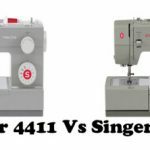 Singer P-1250 will never be a replacement for your industrial sewing machine, but it will get your work done if you don’t plan to work on things that are too hard. The price is affordable and its performance is good. If you can’t afford an industrial sewing machine, this is the next best option. 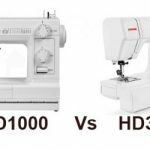 Overall, it a very good sewing machine to consider.